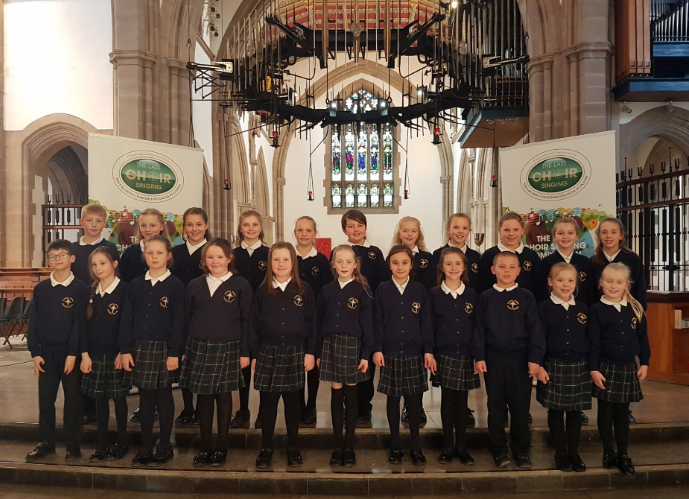 The choir represented school at Last Choir Singing last night at Blackburn Cathedral and were amazing! They sang two pieces - a set song called We are the Stars, which was written for the competition, and their own chosen piece - Mr Blue Sky. This year, the choir have worked tirelessly to improve on last year, and were utterly fantastic - Mrs Bridge couldn't be any prouder. They were professional, energetic and sang beautifully. Well done to Evie and who Megan sang solos, which were captivating! Thank you to all the parents and families for your support - and a huge Well Done to our children!